Thorntons have got some new chocolates out for the autumn. They are all named after sweet treats and are available either in individual bags or as part of some of the box sets. 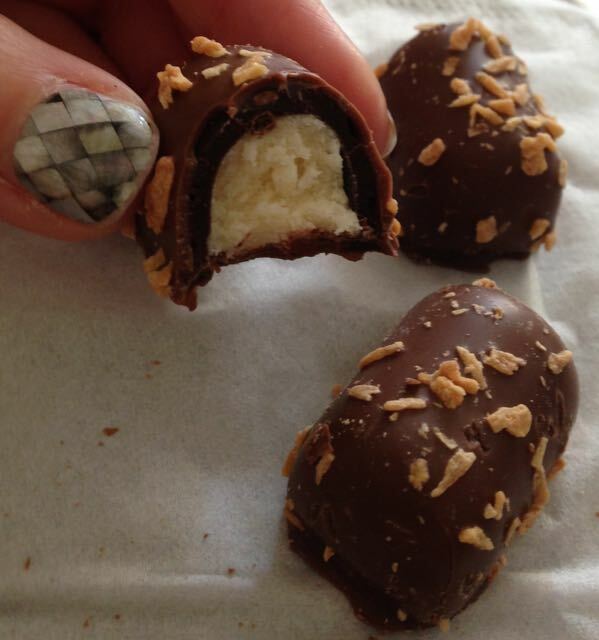 The flavours are; Toffee Apple, Candy Floss and these milk chocolate Toasted Marshmallow truffles. Reviews of all three will be following shortly. First up are the Thorntons Toasted Marshmallow chocolates. 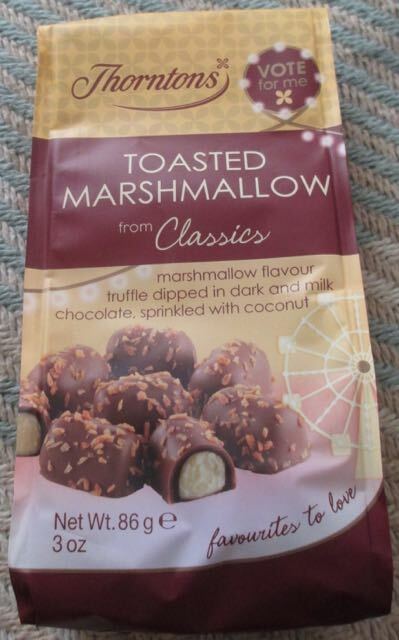 Inside the bag are seven milk chocolate coated marshmallow sweets, each with a sprinkling of coconut. The chocolate shell case on each of these truffles is quite thick and this does dominate the flavour. Marshmallow is a delicate combination of sugar and vanilla. Originally the recipe used to use the mallow flower, but that isn't included in many modern or commercial versions of these sweets anymore. That means that the distinctive feature of marshmallow ends up being the vanilla base and the texture. Sadly these chocolates don't quite have the texture either as they are slightly firmer and less squidgy than actually marshmallows. What you are left with is a pleasing sweet vanilla truffle with a chocolate and coconut coating. Tasty yes, but not quite living up to expectations.